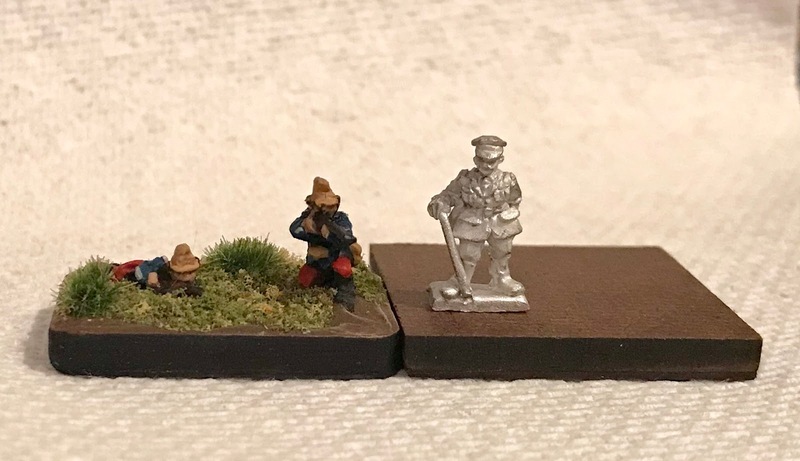 I just received some of Great Escape Games 12mm early war Germans. I like them but they only make figures for the Western Front. 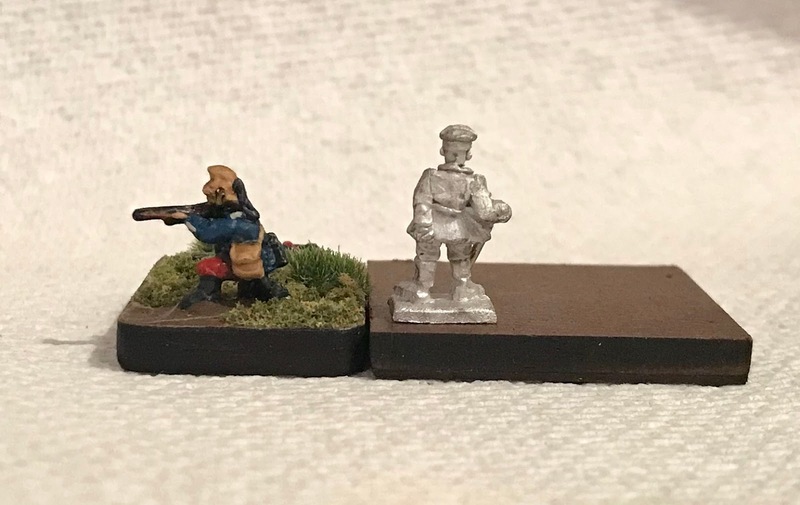 If I wanted to add some early war Eastern Front Russians and Austrians which figures would work with the Great Escape Games early war Germans? If they are 12mm then it is most likely that Kallistra (advertised as 12mm) would be a better match than Pendraken (advertised as 10mm). I have never seen any so can't be certain. Everything I have read suggests that Gildas is correct. Here is a comparison picture I put up. I will try to post a picture of a Great Escape Brit with one of my Kallistra figures for you tonight. Thank you PAR! If you don't get a chance to post a photo do you feel that Great Escape would work with Kallistra? Not the best pictures but you can see the kneeling French dragoon and the standing British officer. From what I could see they matched up very nice in size. I have a big collection of 1914 French and German Kallistra and I really like them. Good service too from them. They are bigger than Pendraken but they should be. 12mm to 10mm.